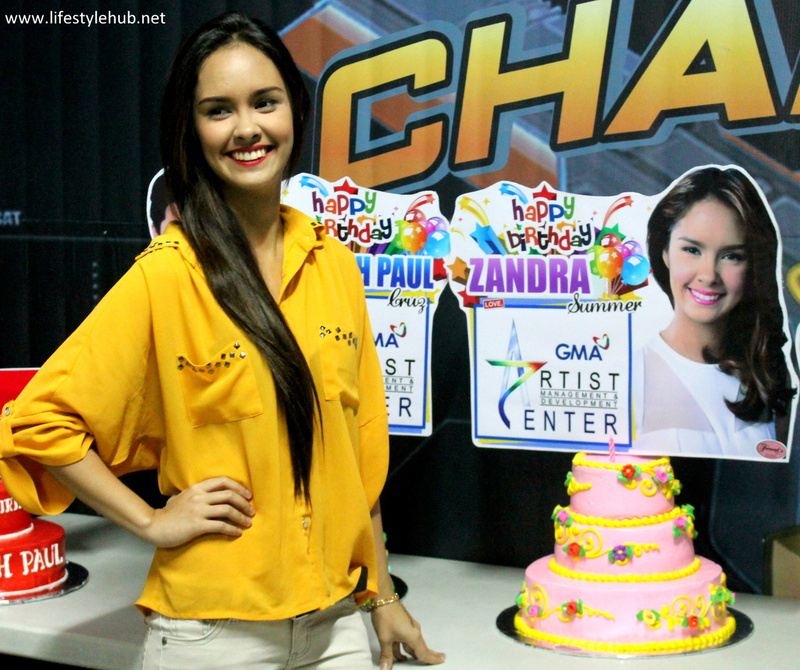 Five of Artist Center's newest talents are celebrating their birthdays in the month of July. 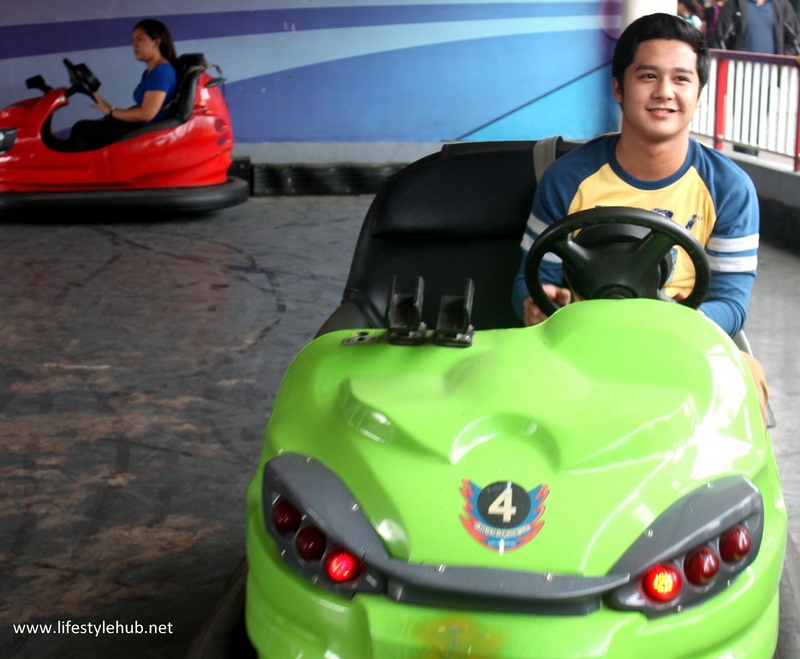 Their talent company has prepared a grand celebration for them of course in an afternoon of fun games with their fans at the Lazer Maxx in Eton Centris earlier today. 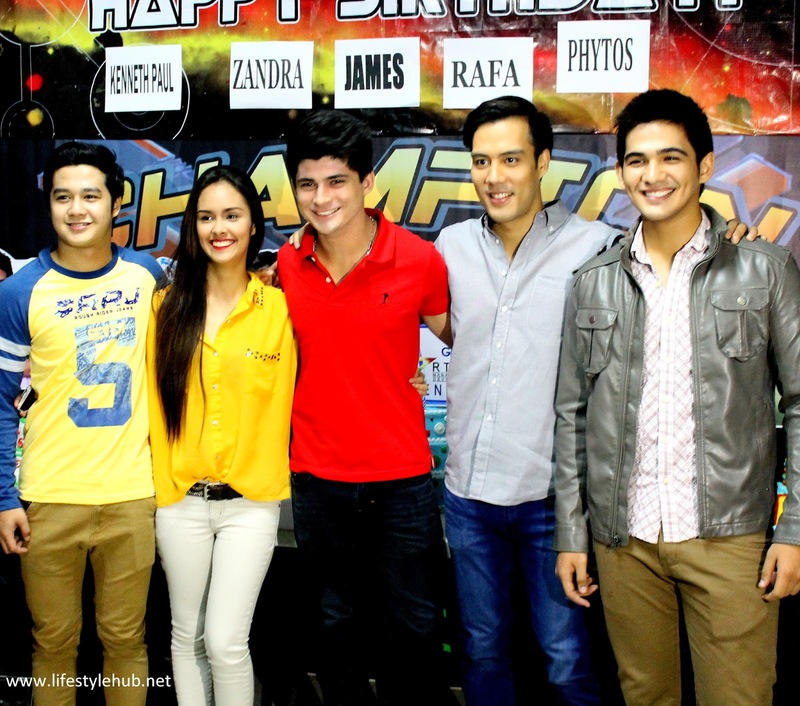 The newest faces from the Kapuso block are celebrating their birthdays for the month of July. You're gonna be seeing more of these faces on TV soon. 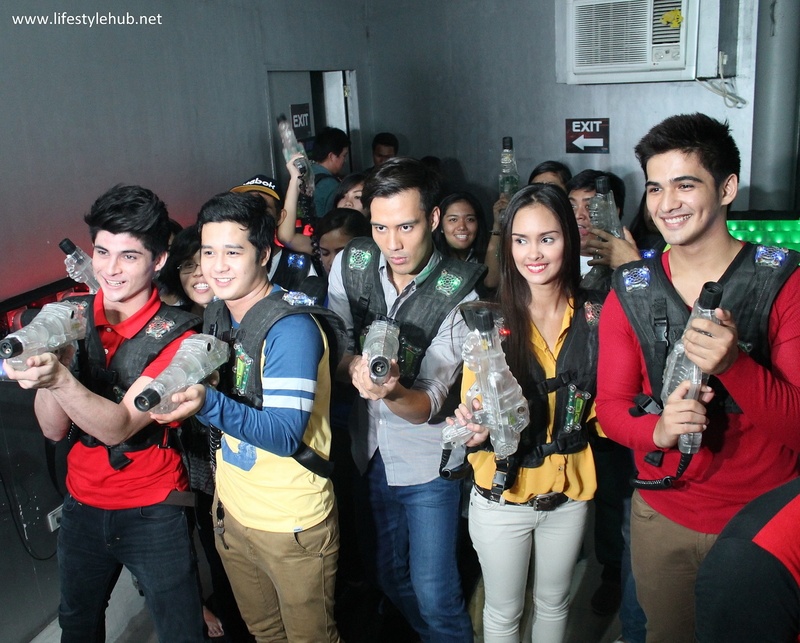 They are, (L-R) Kenneth Paul Cruz, Zandra Summers, James Wright, Rafa Siguion- Reyna and Phytos Ramirez. WHERE DID YOU SEE HIM FIRST: I am sure you did not miss McDo's "Kuya" TV ad. Well, that smile should be enough to make you watch out for this guy. BIGGEST TV APPEARANCE: He portrayed the role of Alden Richards best friend in the primetime soap "Carmela" where he shared acting credits with Marian Rivera. WHERE DID YOU SEE HER FIRST: She was runner-up to Thea Tolentino in the second season of GMA 7's reality show Protege! BIGGEST TV APPEARANCE: She is part of the Protege cast for the afternoon soap Pyra: Ang Babaeng Apoy. You'll see her now in another soap, "Dading". 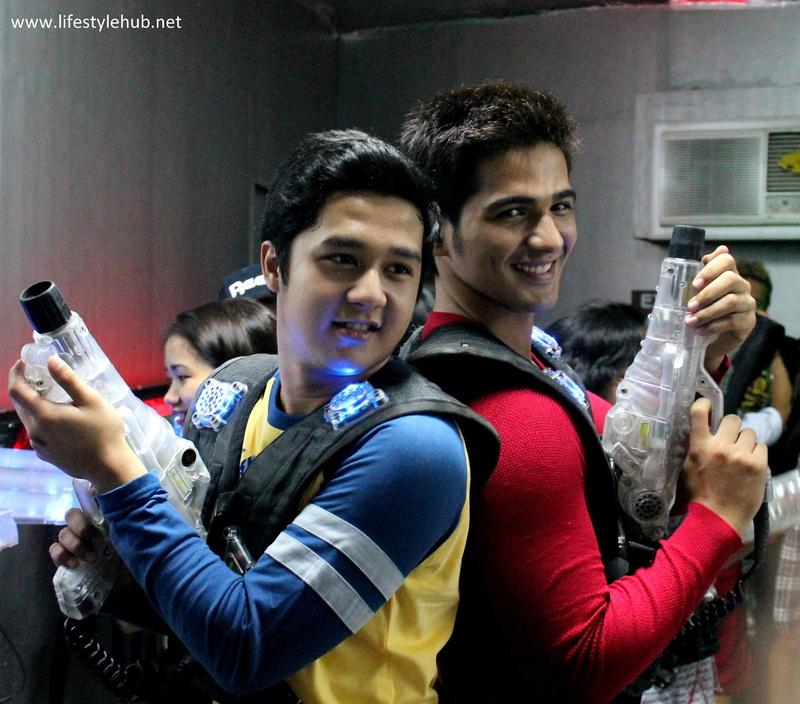 WHERE DID YOU SEE HIM FIRST: That cutie who has the perfect smile in GMA 7's reality show "Anak Ko Yan!" BIGGEST TV APPEARANCE: You probably might have not seen him yet as he works most of his time behind the camera. You think it's Christian Bautista singing the Carmela OST "Sana'y Ikaw" but no. That's James Wright. He's on his way on becoming GMA's Prince of Teleserye Theme Songs by being the voice behind My Destiny's theme song "Ikaw Yun"
WHERE DID YOU SEE HIM FIRST: He tried his luck in Star Circle Teen Quest and in other ABS-CBN shows "Hiram" and "Gulong Ng Palad". His transferred to GMA has been magical as he joined the cast of top-rating fantasy series "Encantadia". BIGGEST TV APPEARANCE: He was part of the very young cast of the afternoon soap "Paraiso Ko'y Ikaw"
WHERE DID YOU SEE HIM FIRST: The last name rings a bell and yes you're right if you're under the impression that he comes from a powerful showbiz clan. 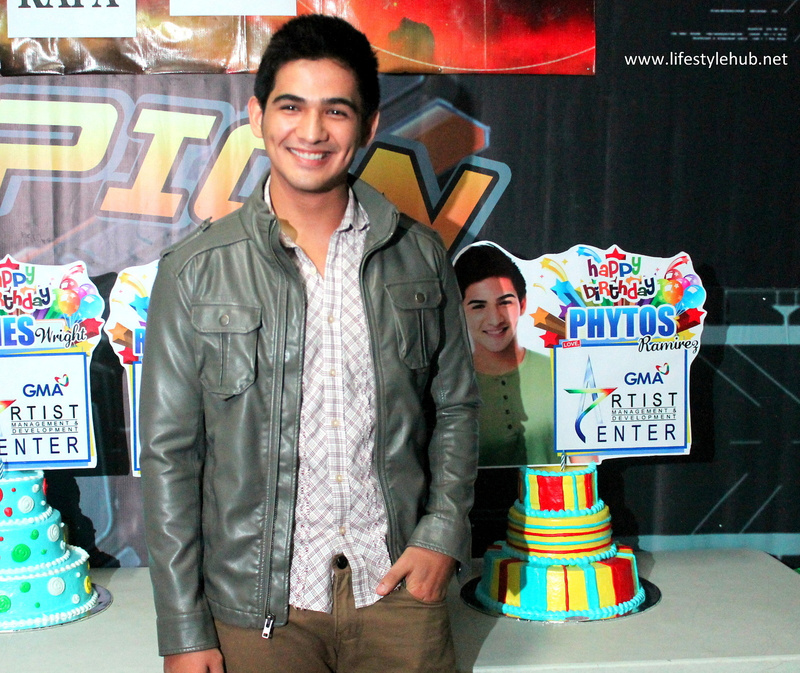 He is the son of multi-awarded film director Carlitos Siguion- Reyna. He just joined Artist Center last month! BIGGEST TV APPEARANCE: Being just a few weeks old in Artist Center, Rafa already landed a supporting role in the GMA primetime soap "Nino". 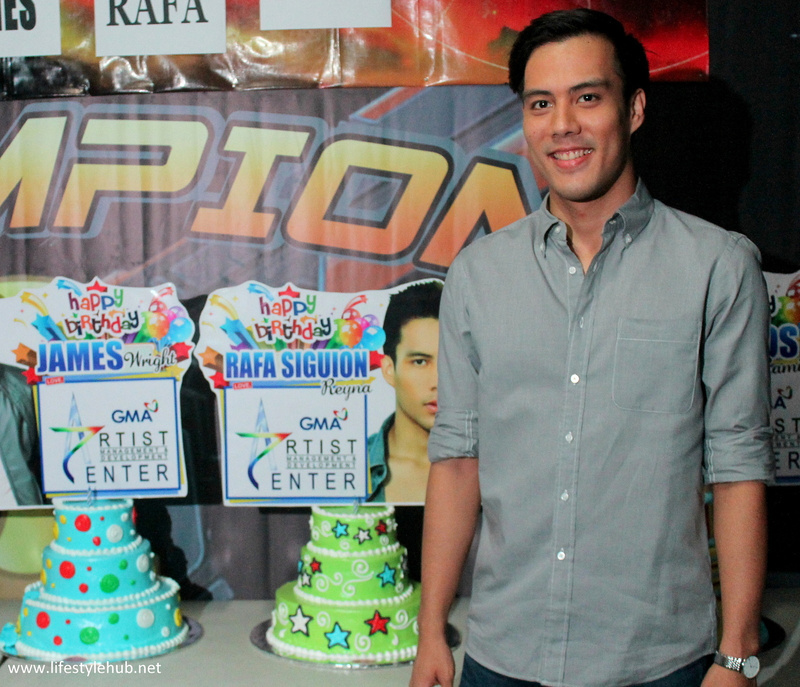 BE FRIENDS WITH HIM: Follow @rafasreyna on Twitter and Instagram.